Back in December last year Dave Sinclair did such a great job of selling this event that I decided to sign up.  My running partner-in-crime Ruth Roberts decided to join me, and team CDF Plodders was born with the aim of doing 3-5 laps each over the weekend. I had achilles tendonitis, hadn’t run 5k in over 2 months (hobbling around the Cosmeston Relays didn’t really count), wasn’t anywhere near 9k fit and was prone to my Achilles flaring up just by walking too far. Ruth had done hardly any running due to college commitments, had issues with painful calves and was destined to never find a comfortable pair of running shoes. Not the best preparation for either of us! But what followed was one of the most fun running events both of us had ever done. The annual 100 Mile Run, more commonly known as the Cotswolds 24 Hour Relay Race, takes place in the picturesque Bathurst Estate in Cirencester. The aim is to complete as many 9k laps as you can either as a team or an individual. There are loads of categories: pairs, mixed/same gender teams, Nordic walkers etc. with awards for the winners of each category. The course is a mixture of woodland trails, fields, paths and tarmac roads – mostly flat but with an evil muddy incline a few km’s in and a tarmac road halfway round which gently sloped uphill for what seemed like forever. We arrived at 8.30pm on the Friday in pouring rain. We found our camping spot and decided to get the tent up straight away. It was at this point the nightmare started. Ruth’s tent is a huge Vango with an additional canopy – surprisingly easy for two people to put up. And then we realised water was pouring in through the roof… Not through a leaky seam or a hole – the entire rear of the tent has lost its waterproofing qualities. After frantic messages to Dave (mobile phone reception on site is awful), trying to book a hotel (they were all full) and both of us trying not to burst into tears, we managed to spray the tent with waterproofer whilst raining, found a dry patch in the tent and squashed our airbeds together. We were cold, wet, tired and hungry and the bloody race hadn’t even started yet!! After a rushed Pot Noodle, we settled down praying that there would be no more heavy rain during the night. To top it off, we were camped opposite some complete idiots who ignored the curfew and played loud music until way past 1am. The day of the race dawned and – hallelujah – no rain in the night and sunshine in the morning. After bacon sandwiches and fresh coffee we finally caught up with Dave, Lee and Gerda who had the ingenious idea of hiring a tent that was already pitched for you. God knows how we found them as Dave’s directions were ‘it’s a green tent by a white car’ – 90% of tents on site were green! When picking up our team baton and timing chips I asked the woman if it was ok to walk. Her response made me lose my nerves: “it’s ok my lovely, you can run, walk or crawl – as long as you do one lap you’ll get your medal”. Well, that was ok then! I made my way to the back of the starting field and at 12 noon we were off. I had decided to walk the entire lap to protect my Achilles – I wanted to do at least one more lap and couldn’t risk it flaring up. The Nordic walkers zoomed past me – they can go at one hell of a speed – and on my way round I chatted with a few runners who were also walking. The route is so pretty and walking through the woodland with sunshine streaming through I forgot all about the stress of the night before and started to enjoy it. Halfway round I felt the familiar burning in my Achilles, so stopped at the water station for a few minutes to rehydrate and give it a rest. I carried on going a bit slower and taking in the stunning surroundings – walking down a tree-lined path with the imposing St John’s Church in the background. Ruth was waiting for me to cheer me on with 1-2k to go (she had spent the time waterproofing the tent again. And again. And once more for luck). I disappeared into more woodland for the final 1-2k and managed a run on the home straight so I could at least say I ran a tiny bit of it. I passed the baton to Ruth, gave her a hug and off she went. And then it started raining (again). Ruth ran half of her lap, which is a great achievement considering how little running she’s done recently. She was easy to spot on course – you can see her bright pink cap and calf sleeves a mile off! After she finished we caught up with Ruth Davies, Paul Hubbard and Becky Jones who were in a corporate mixed team, helped out by CDF colleagues Howard Owen and Chris Ahern. Later on we had a meal of hot dogs and Cabernet Sauvignon in plastic pint glasses (classy) to prepare us for an assault on the course at night. So we could go together and not get disqualified, Ruth took off her timing chip. Head torches on, we set off just before 10pm. We giggled our way through the mud, screamed like scared children when we switched our torches off in the middle of woodland and exchanged encouragement and banter with runners who passed us. It’s really atmospheric at night – there are no streetlights or light pollution – all you can see is white lights bobbing about in the darkness at different points on the course. Ruth R and myself are definitely signing up next year (as individuals this time so we can run together). It’s very well organised, friendly, relaxed and good fun. The support out on course from marshals, spectators and especially our fellow participants was second to none. The marshals and staff were great, the posh toilets were clean and the food/bar was reasonably priced. Our only complaints were there weren’t enough showers (2 blocks and 1 was out of order) and they could have done with a mobile coffee van. Also both the medals and t-shirts were the same as last year, which is a bit unfair for those who did it in 2016. It was my first, but hopefully not last 24-hour race. I will be going to next year and injuries permitting, I will be running it this time!